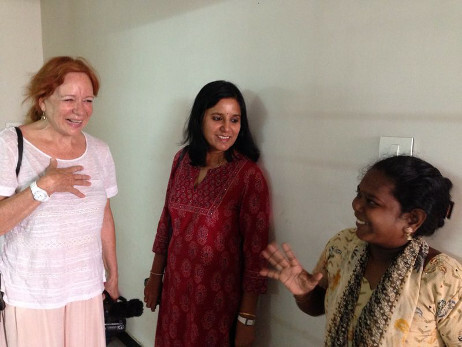 We were very pleased to have Eva Darlan visit us at Sharana a couple of weeks ago. For those who do not know Eva, she is a well known (TV and Cinema) French actress. She had come to Pondy to perform in a French auto-biographical monologue at the Alliance Francaise in Pondicherry.